In October, 1826, while stowing cargo aboard a sailing vessel at George's Dock Quay, the crew became aware of a very offensive smell. It was eventually traced to three casks which were addressed to a Mr. G.H. Ironson of Edinburgh. 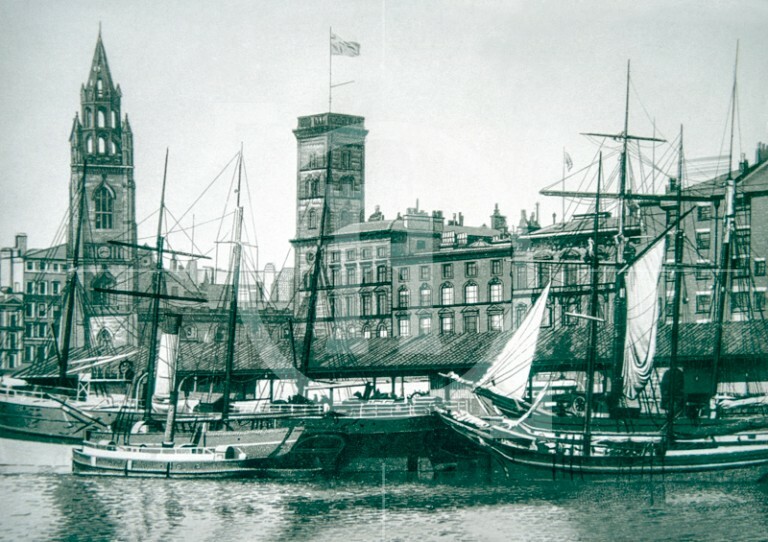 The shipping note described the contents as 'bitter salts', but on further examination the casks were found to contain dead bodies. Such was the demand from medical schools, that body-snatching, the clandestine disinterment of the recently buried dead, became a widespread and lucrative practice, the most infamous exponents of which were probably Messrs. Burke and Hare.